Colombia faces many internal problems related to the recent history of this nation and the brutal civil war. On top of this, social deprivation and issues related to crime and narcotics concern many in Colombia. However, despite Venezuela being blessed with enormous energy resources, the mismanagement of this nation is abundantly obvious in 2019 and this is impacting on Colombia. Therefore, many are fleeing to Colombia and other nations in order to escape poverty and other serious issues that blight Venezuela. Hence, in recent times approximately one million migrants from Venezuela have entered Colombia in order to escape the decaying infrastructure. Of course, for more wealthy individuals, then Colombia is a stepping-stone to either further escape Venezuela, or to replenish dwindling stocks of essential goods. Yet, for the majority, roughly one million Venezuelans, then genuine poverty and the feeling of hopelessness means that Colombia is a necessity. 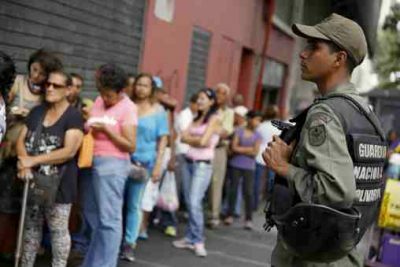 According to the United Nations World Food Program (WFP), many people from Venezuela are extremely impoverished. In other words, vast numbers worry daily about survival and where the next food meal will come from. Currently, the WFP is involved in community kitchens and temporary shelters. Of course, Roman Catholic organizations are being fully utilized based on the strong networks of this religious institution. Also, the food assistance program enables individuals to buy nutritious food at local shops based on an electronic cash transfer system. This in turns benefits local Colombian companies and provides dignity to individuals who can purchase the appropriate foodstuffs they need. However, with no sign of the economic and political crisis abating in Venezuela then it is essential that international nations support the WFP and others involved in assisting Venezuelans in Colombia.